If you haven’t heard, The Glamorous Gleam is celebrating it’s 1st Blogiversary. Yay!!! In honor of my readers and all of the support that you guys have given me, I am hosting a Blogiversary Giveaway. One of you will win MAC Viva Glam Gaga & Cyndi lipglasses! 1. You must be a subscriber of my blog, either through Google Friend Connect or via Email. 2. To enter, you must leave a comment on this post telling me what you would like to see from The Glamorous Gleam in the future. Be sure to include your email address while filling out the comment form. 3 extra entries– Post my giveaway on your blog/site or in your sidebar with a link back to the giveaway. Leave a comment on this post with a link to the post or your blog if posted in sidebar. 2 extra entries– Follow me on Twitter and tweet about my giveaway. Don’t forget to mention @MzMore. To make this easy you may use the retweet button in the upper right hand corner of this post. Leave a comment on this post with your twitter name and a link to your tweet. Please make sure that your tweets aren’t protected so that I may verify that you did indeed retweet. 2 extra entries– Join (like) my Facebook Page and leave a comment on this post with your name as seen on Facebook. 2 extra entries– Subscribe to my YouTube Channel and leave a comment on this post with your name as seen on YouTube. That’s right folks, you can have a total of 10 entries! This giveaway is open internationally. As usual, it is your responsibility to know your customs laws to ensure that you are able to receive the products. Once the items leave my hands, I am no longer responsible. You must be 18 or older to enter or have permission from a parent/guardian. Please follow the rules, if not you will be disqualified and your comments disregarded. The giveaway will end on Saturday, September 25th at 11:59pm EST. The winner will be chosen randomly. I will contact the winner via email and you will have 48 hrs to respond before another winner is chosen. Good Luck. Let’s get those entries in! 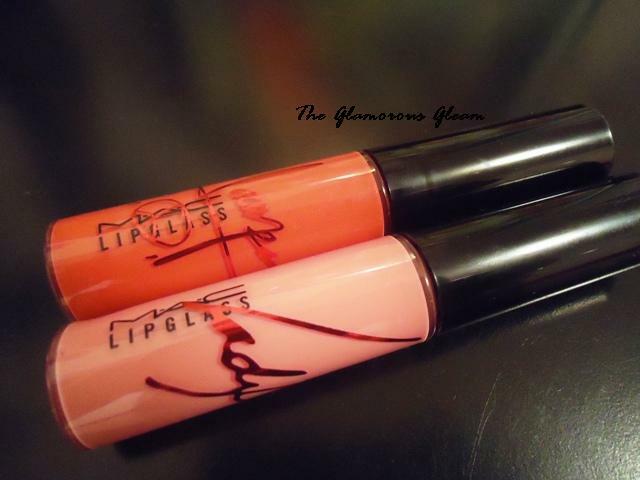 sweet giveaway enter me i follow thru gfc i love mac lipglass! I totally love your blog so it’s hard to think of anything that I would love to see, I love tuturials, tips for cheap and good make-up stuff, cool website’s and offcourse giveaways 😉 Go on with the good work! I want to learn how to apply eyeshadow for an “evening look” and for a “daytime look.” Also, I want to learn how to blend eyeshadow colors on my eyelids. Great giveaway!! i follow you through google connect! I’m following via GFC as Steph. I’d love to see more FOTD and reviews! Congrats! would love to see *more* featured faces for ideas…feel free to use cheaper brands too…LOL! subscribe through facebook. I’d love to see your YouTube videos incorporated into your blog. I would like to see more Face of the Day with Mark. products. Your blog has inspire me to start my own blog. Congratulation on your one year Bloganniversary. I follow threw GFC and Facebook. What I would like to see is a post about makeup brushes. Hi MzMore. I most definitely follow you via GFC. I love your blog and think that you have all of your bases covered. I feel you do not need to add anything. However being a product junkie, you can always do more makeup reviews and YT tutorials, LOL! I also posted about your giveaway on my blog. I retweeted(@glossandsticks) the giveaway and liked your facebook page. I also subscribed to your youtube channel. I am following you through email and through GFC. I tweeted your giveaway and “like” The Glamorous Gleam on Facebook. Thanks for the giveaway, I’m a gfc follower as Grace Wong! I’d love to see more review from you, they’re so useful! What a fun giveaway!! I would love to see more FOTD’s. awwee congrats on your blog anniversary! I would love to see more OOTD posts! I have joined your FB page. Thanks for the giveaway hunny! I'm already an RSS subscriber via Yahoo and on Google Friend Connect. Happy blog anniversary! Thanks so much for the great giveaway. I'd love to see more product swatches and tutorials or reviews, those are my favorite! hey I am a follower through GFC and my name is Maria Khan. I would like to see more lipstick swatches and eye make up. I’ve added your giveaway in my sidebar. Hey,congrats on such a successful blog!!! I am a new follower.I would like to know where to get the expensive make up for the best prices.I would also like to see some giveaways,we all enjoy those. I follow you on twitter and tweeted about your contest. My twitter name is Lovey99. Great giveaway! I follow via GFC (Throuthehaze). I would love to see more product reviews. Please review both high end & drugstore makeup! It’ll be cool to see your whole collection of nail polish/lipglosses/lipstick/etc. I follow you on Twitter (Beckycd91). Hi I follow thru GFC! I would love to see more product reviews….theyre my fave kind of post! Hello! Amzing Blog! I love it! All the information of this blog is amazing! I love the posts about make-up and nails!!! 3 extra entries- i link ya giveaway here! 2 extra entries- i follow & tweeted ya giveaway here! Thank you for this giveway, prizes are extraordinary. You know that I am you everywhere, to twitter, youtuble, your blog, etc. I put the photo of your giveway in the homepage of my blog. Oh, forgot– my YT username is qoo! Hi sweetheart! I would love to enter this great giveaway!! Besides, I am a subscriber of your YT channel, my YT name is Kinnie1983. I would love to see hauls, skincare reviews and reviews!! Hi! I’m a GFC follower 🙂 I’d like to see more product reviews…and possibly, fashion posts, too! Hi! Great giveaway, enter me, please! I would like to see more tutorials. I am a follower via GFC as Náa and I subscribe your YouTube channel as Naaisinthehouse. Congratulations on your anniversary. I’m an email subscriber. I follow you on Google Friend Connect. I would love to see more makeup swatches, more contests, and more reviews. I am a follower via GFC, my name is Joy. And I have suscribed to your Youtube channel, my username is joybellebelle. Congrats! I subscribe by email (vac924 at gmail dot com) and with Google Friend Connect too ( LilyBiscuit ). I guess what I like to see is swatches of products….a lot of companies don’t show accurate colors. Thanks! I am a Google Friend Connect Follower. I would like to see more giveaways from The Glamorous Gleam in the future. This is the first time I've visited your site so I can't assess what I think needs to be changed. From what I see tonight, it appears you have a nice variety of things going on. It's a pretty perfect balance. I prefer to be contacted at kleimanlaw at aol dot com. cheerleadinghannah – subscribed to your youtube channel – can't wait to get involved! Also liked and commented on facebook. I subscribe by email and I would love to see more contests on your site. I love the FOTDs so I’d love to see video tutorials on how those looks are done. enter meee 🙂 i would love to win these lipglasses, theyre not available yet in the UK. I want to enter your great giveaway!!! I follow your blog via GFC. I would love to see more makeup tuts on your Youtube channel, and definitely more nail art on the site as well as Youtube. I’d like to see comparisons of expensive make-up and cheap make-up and whether you think the cheap is as good as the expensive or not. I will mention you in this post: http://dearkeesha.wordpress.com/2010/09/19/give-aways once I’ve finished writing it in a little bit. Please enter me! I'd love to see more make up looks! I would love to see mor new lip gloss products! imnotarunner is following you on twitter and retweeted! imnotarunner is Following you on Twitter and tweeted about giveaway. I would love to see more women of color tutorials. how about some asian sisters, too? we struggle too! wow congrats on your blog anniversary! I would love to see more EOTD posts! i would love to see more skin care product reviews. I'd like to see more reviews of cheap makeup and more looks and tutorials! 1. Follower via GFC 😀 Tessa Mastenbroek! * http://tesjoesblog.blogspot.com – sidebar post about your giveaway! * I retweeted 😀 http://twitter.com/MzMore/status/25223735760 And I am also a new titter follower! I'd like to see more reviews and more tutorials. It’ll be cool to see your whole collection of nail polish, eyeshadows, lipglosses/lipstick/etc. I would like to see more make up tutorials.I'm following you via GFC as Darija Brekalo. I would love to enter your giveaway. I would like to see more tutorials, tips & NOTD. Following your blog. Retweeted on Twitter. I would love to see you do a blog on bath fizzies/scrubs/salts. Would be so cool.